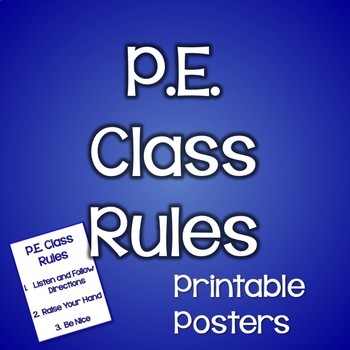 This is a set of printable posters based on Michael Linsin's book Classroom Management for Art, Music, and PE Teachers. I HIGHLY recommend this book! I'm in my 18th year and I just read it this past fall. The Smart Classroom Management philosophy was life-changing (-saving). Each poster can be printed in either blue or red lettering. 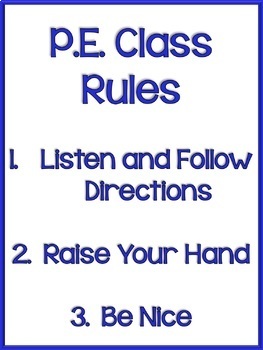 I also included 3 versions: PE Class Rules, Gym Class Rules, and Phys. Ed. Class rules since terminology varies among districts. I'm telling you, read this book! You won't regret it!